SPAM is a research laboratory belonging to Iramis (Saclay Institute of Matter and Radiation) attached to the Division of Matter Sciences at CEA, dedicated to fundamental research in the field of photon-matter interaction and opening also in numerous applications. 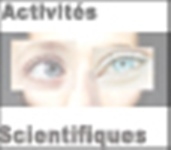 SPAM is a member of RTRA "Triangle de la Physique", LABEX PALM and IDEX Paris-Saclay. SPAM hosts a femtosecond laser platform (SLIC) member of the LASERLAB European network and is involved in two EQUIPEX: CILEX and ATTOLAB. The research themes developed in its laboratories are presented below. Brief introduction to ion acceleration : Undoubtedly, the acceleration of charged particles has been one of the most active research fields in the physics of laser-matter interaction all along the last ten years. 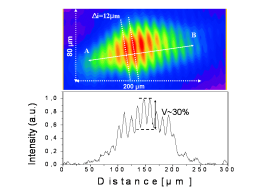 Imaging XUV interferometer : Internal conversion frequency imaging interferometer at 32nm Interferometry allows for getting electronic density information in 2D. Members of MHDE group : Permanent researchers : Thomas Blenski +33 1 69 08 96 64 thomas.blenski@cea.fr Theory: physic of dense plasmas Michel Poirier +33 1 69 08 46 29 michel.poirier@cea.fr Theory: atomic physic Frédéric Thais +33 1 69 08 15 73 frederic.thais@cea. Operational Statistics of SLIC Facilities : SLIC facilities typically provide 900 experimental laser days per year. LUCA annually offers 540 days whereas UHI and PLFA provide 180 days each. On average, more than 85 scientists access SLIC facilities every year. Perspectives : Next steps in research on laser driven ion acceleration in Saclay Relying on a rich set of human resources, technical expertise and equipment, we are going to implement an ambitious program of research. SLIC European Access : SLIC has become a "European Major Research Infrastructure" in 2003 within the FP5 European program. Since 2004, SLIC is a partner of the FP6 LASERLAB-EUROPE I3 (Integrated Initiative of Infrastructures) consortium in which it had a significant implication in the Access activity.